Jay Alexander, MD, FACC received his undergraduate degree from Indiana University and Doctorate in Medicine from Loyola University Stritch School of Medicine. He completed his medical training and fellowship in Cardiology at Northwestern Feinberg School of Medicine. Dr. Alexander is board certified in Internal Medicine, Cardiovascular Diseases, Critical Care Medicine, and Nuclear Cardiology. Presently, he practices Clinical Cardiology in Highland Park and Bannockburn, Illinois and serves as Governor of the Illinois Chapter of the American College of Cardiology. He has authored several peer-reviewed articles and has participated in numerous clinical multicenter trials. Dr. Alexander has served as one of iRhythm's medical directors since 2009. Dr. Hardwin Mead practices cardiac electrophysiology and cardiology, primarily at Sequoia Hospital in Redwood City. Dr. Mead has been instrumental in the development of numerous cardiovascular technologies and has worked with numerous start-up companies in the past. He and Dr. Roger Winkle, another prominent Bay area cardiac electrophyisiologist, began the first private cardiac electrophysiology practice in the Bay Area in 1984. Dr. Mead did his fellowship in Cardiology, chief residency, residency and internship at Stanford Hospital. He also attended medical school at Stanford University. Dr. Mead serves as one of iRhythm's medical directors. 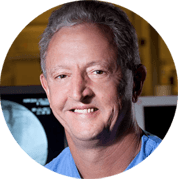 Dr. Michael Mirro specializes in the field of cardiac electrophysiology and clinical research and serves as a clinical professor of medicine at Indiana University. 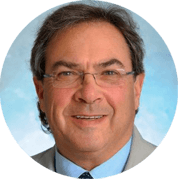 Dr. Mirro has been a principal investigator in over 100 clinical trials over the past 30 years, and he is highly involved in the American College of Cardiology and Heart Rhythm Society. He joined Fort Wayne Cardiology in 1981, where he currently practices today. 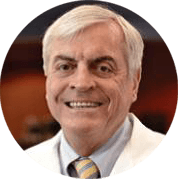 Dr. Mirro was previously a clinical professor of medicine at the University of Iowa, where he established a cardiac electrophysiology program. Dr. Mirro completed a research fellowship in cardiac electrophysiology, a clinical cardiology fellowship and residency of internal medicine at the Indiana University School of Medicine. He also earned his medical degree from Indiana University School of Medicine. Dr. Mirro is also involved in his local community as a member of several advisory boards and a past chairman of the Greater Fort Wayne Chamber of Commerce. In 2014, Dr. Mirro was appointed to the Board of Trustees of Indiana University. Dr. Mintu Turakhia is a cardiac electrophysiologist, outcomes researcher, and clinical trialist. 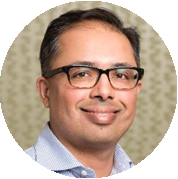 Dr. Turakhia has an active, highly-funded multidisciplinary program in atrial fibrillation, where uses large datasets to examine quality, outcomes, and risk prediction for heart rhythm disorders. As the Executive Director of Stanford’s new Center for Digital Health, he is the principal investigator of several multi-center trials to test digital health tools and wearable devices to screen and manage heart rhythm disorders. In his clinical role as Director of Cardiac Electrophysiology at the VA, Dr. Turakhia performs invasive procedures such as catheter ablation and device implantation to treat heart rhythm disorders. Dr. Turakhia is a Fellow of the American Heart Association, American College of Cardiology, and Heart Rhythm Society. 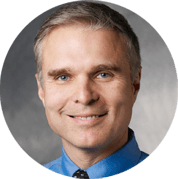 Dr. James Quinn has been on faculty at Stanford University since 2003 where he is an Associate Professor of Surgery and Research Director in Emergency Medicine. Dr. Quinn receives grant support from the National Institutes of Health and is nationally known for his research on syncope and clinical decision guidelines. Dr. Quinn completed his Masters of Science in Health Services Research at Stanford University in 2002. Dr. Quinn joined the faculty at the University of California, San Francisco from 1998-2003. Prior to that he was faculty at the University of Michigan in 1996 and at the University of Ottawa, where he completed his residency in Emergency Medicine at the University of Ottawa in 1992. Dr. Quinn graduated from the University of Western Ontario in London, Canada in 1989. As a member of the Scientific Advisory Board, Dr. Quinn will provide expertise on the utilization of the iRhythm device in the emergency department setting. Additionally, he has helped to author the American College of Emergency Physicians Clinical Policy on syncope and has authored several chapters on syncope in the most renowned textbooks in Emergency Medicine. Dr. Razavi graduated from the Medical School of Pennsylvania in Philadelphia and completed his specialty training at Mayo Graduate School of Medicine in Rochester, Minnesota. He is board certified in Internal Medicine, Cardiovascular Disease and Clinical Cardiac Electrophysiology. Dr. Razavi's speciality interests include electrophysiology, radiofrequency ablation, device implantation, supraventricular arrhythmias and sudden cardiac death. Dr. Razavi currently serves as the Director, Electrophysiology Clinical Research at Texas Heart Institute. 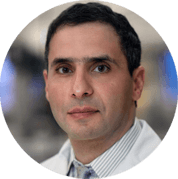 Dr. Razavi serves as an adjunct professor of innovation at Rice University as well as one of the medical directors for iRhythm.